India enjoys an important position in the global pharmaceuticals sector with a 20% share of generic medicines in supplies by volume. 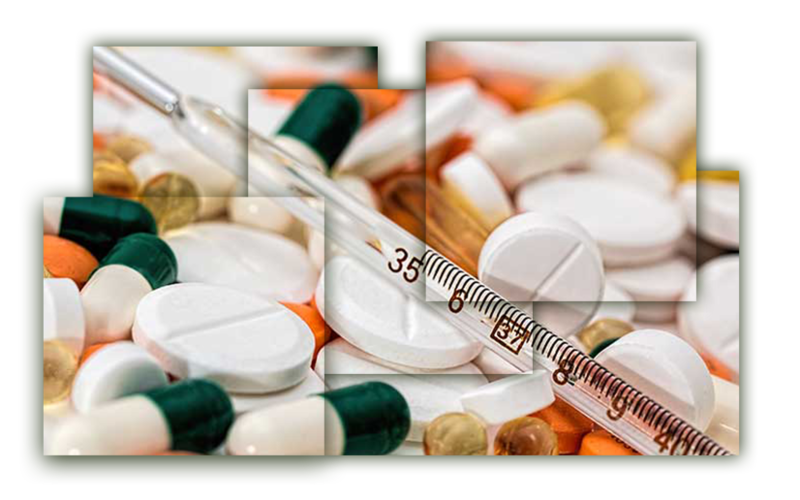 The Indian pharmaceutical industry handles 60,000 generic brands across 60 therapeutic categories with a strong network of 10,500+ manufacturing units and 3,000 pharma companies, India achieved a pharma exports figure of USD 16.3 billion in the year 2015-16. Indian vaccines are exported to150 countries and more than 500 different Active Pharmaceutical Ingredients (APIs) are manufactured in India. Indian pharmaceutical sector accounts for about 2.4% of the global pharmaceutical industry in terms of value. The turnover of Indian pharmaceutical industry was estimated at USD 27.5 bn in FY 2015-16. The market is expected to expand at a CAGR of 12.8% over 2015–20 to reach USD 55 bn. Generic drugs with 70% of market share form the largest segment of the Indian pharmaceutical sector. Over The Counter (OTC) medicines constitute around 21% of the market while patented drugs have a 9% share. The Indian medical device market stood at USD 3.9 bn in 2015, accounting for approximately 1.7% of the global medical device market. The industry estimate suggests that the Indian medical device market will grow to USD 8.1 bn in 2020 at a CAGR of 16%. India is one of the top 20 global medical device markets, and the 4th largest medical device market in Asia. Bio-Pharma is the largest sector contributing to 62% of the total revenue. 1. November 2017 - Piramal Enterprises Ltd acquired a portfolio of spasticity and pain management drugs from UK-based specialty biopharmaceutical company Mallinckrodt Pharmaceuticals, in an all-cash deal for USD 171 mn. 2. October 2017 - Sun Pharmaceutical Industries Ltd, India's largest drugmaker, has entered into an agreement with Switzerland-based Novartis AG, to acquire the latter’s branded cancer drug Odomzo for around USD 175 mn. 3. January 2017 - Aurobindo Pharma has bought Portugal based Generis Farmaceutica SA, a generic drug company, for USD 144 mn. 4. November 2016 - Sun Pharmaceuticals Industries Limited plans to acquire 85.1% stake in Russian company Biosintez for USD 24 mn for increasing its presence in Russia through local manufacturing capability.